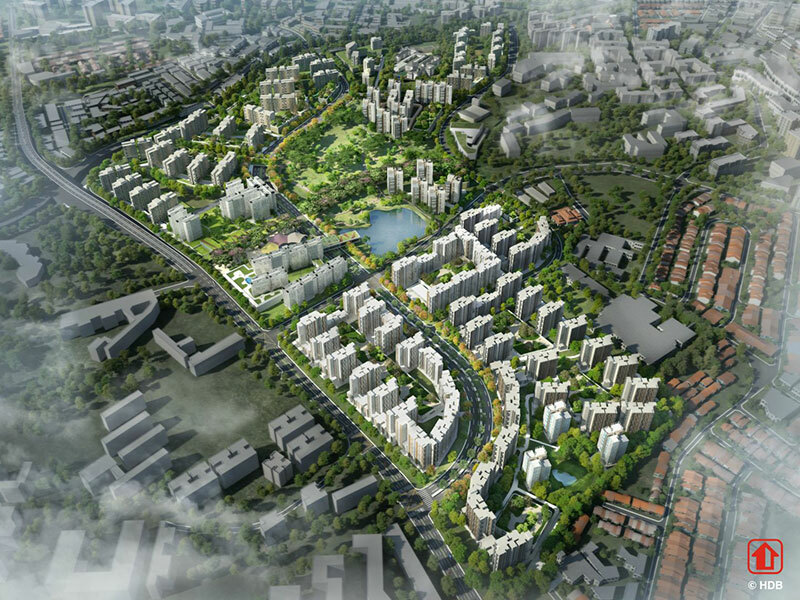 Once the final resting place for many of our ancestors, Bidadari Cemetery will soon become a home for future generations once a new housing estate is complete. The name Bidadari is believed to be derived from the Sanskrit widyadari, meaning ‘nymph of Indra’s heaven’. It is said that the cemetery was named so after one of the wives of Johor Sultan Abu Bakar, on whose Istana residence the cemetery is sited. 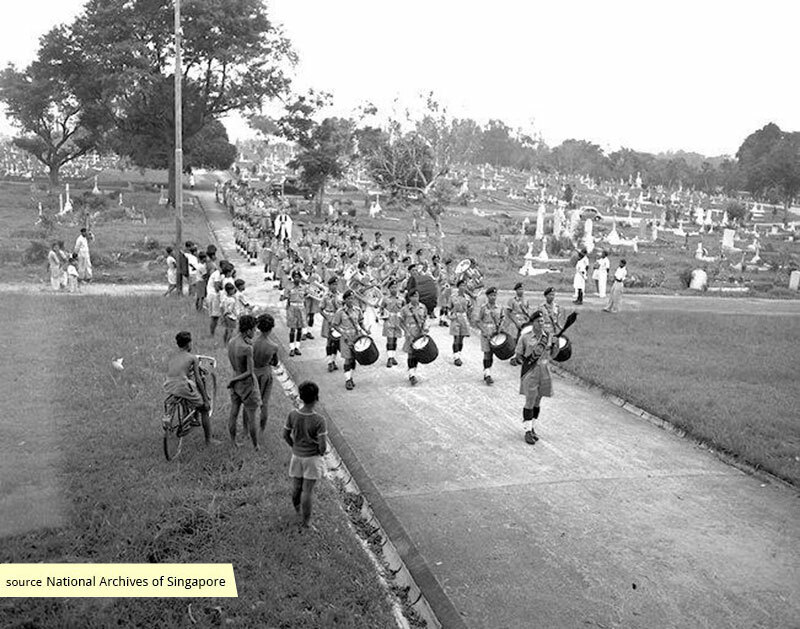 The government acquired the 45 acre land in 1903 for $112,500, opening it in 1907 as the third cemetery in Singapore at the time. 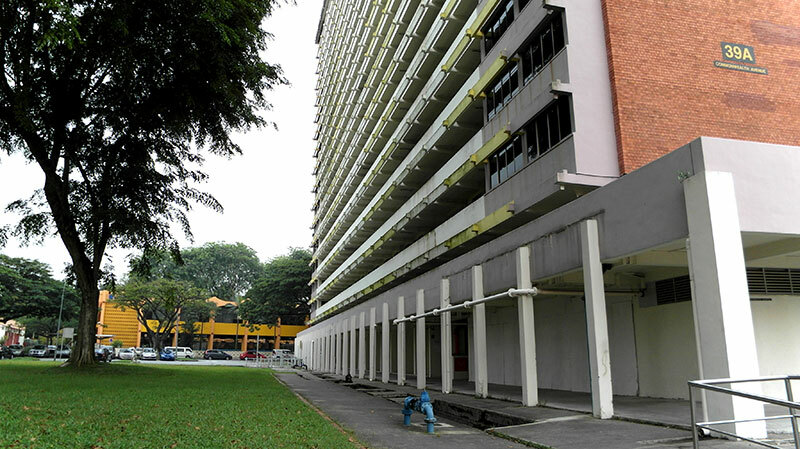 It was divided into various sections according to religion, with the Muslim, Hindu, and Singahalese section at the base of Mount Vernon, across Upper Aljunied Road from the Christian and Catholic section. 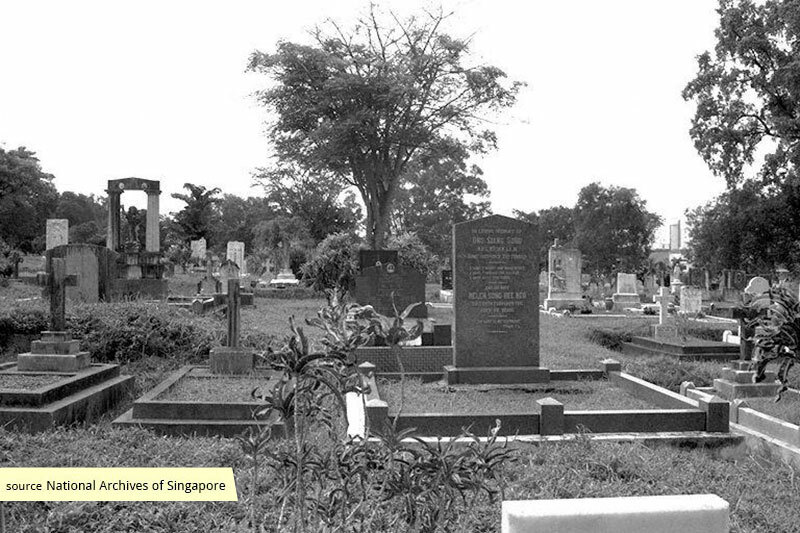 Several prominent figures are believed to have been buried in the cemetery, including the polymath, Dr Lim Boon Keng; a former minister, Ahmad bin Ibrahim; and Augustine Podmore Williams, an English sailor whose travels were believed to be the inspiration for the fictional hero in the novel, Lord Jim. A number of structures had been built in the cemetery since its opening, such as a chapel by D.M. Craik near the entrance of the Christian section, and the Youngberg Hospital set up by the Seventh Day Adventist Mission. Burials ceased in 1972 with the opening of the Mount Vernon Crematorium and Columbarium, and the cemetery gradually became home to a remarkable diversity of wildlife. 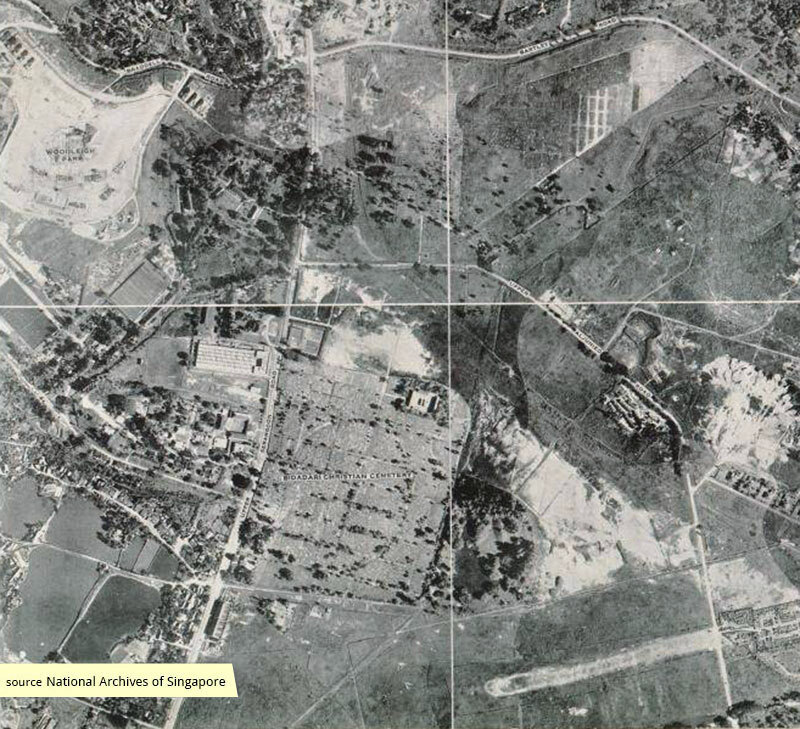 Nearby residents began using it as a recreational park, alongside physically robust Gurkhas on their training jogs. 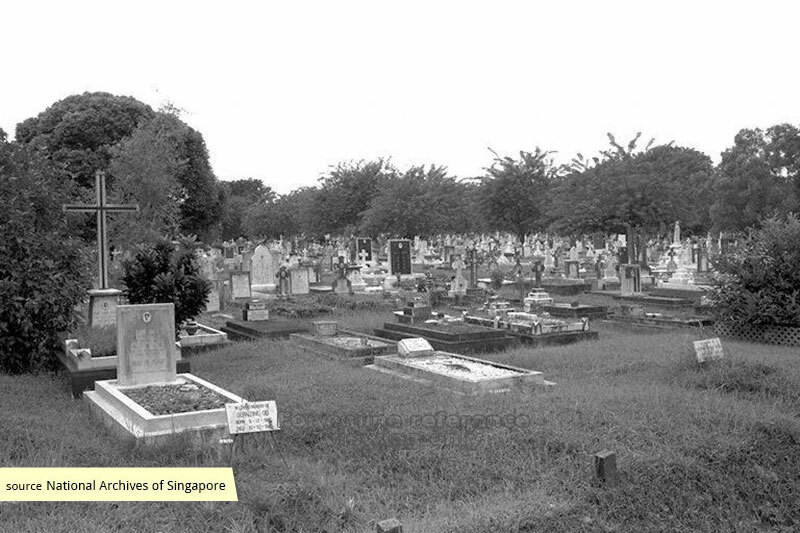 The majority of graves were exhumed from 2001-2006, and the site is now occupied partially by the Woodleigh MRT Station. In 2004, a memorial park containing a selection of tombstones and memories from around Bidadari Cemetery was established at Mount Vernon Road. 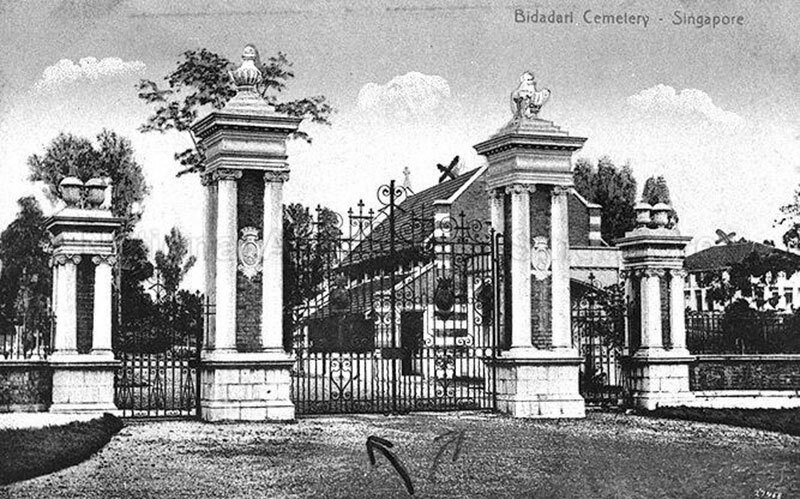 Although it has no official name, it is identifiable by the iconic gates which once fronted the cemetery. 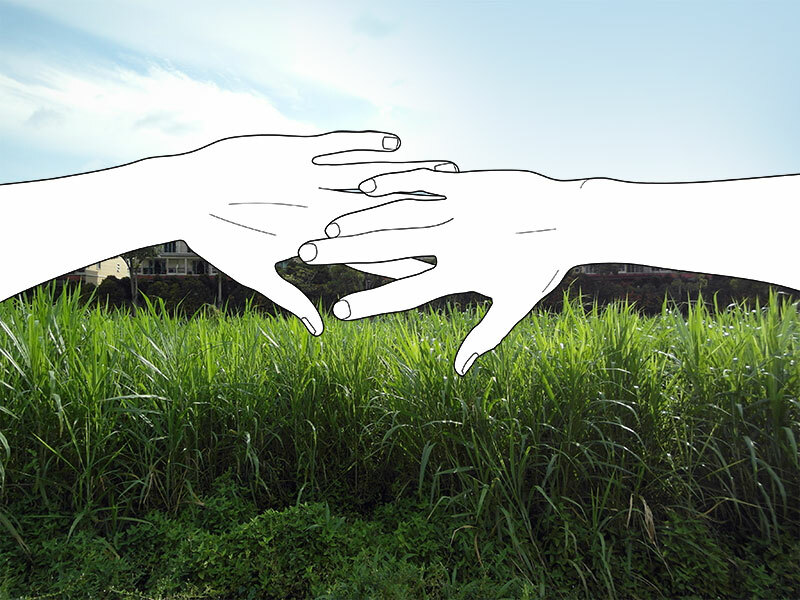 In late 2012, work began on a new housing estate with 11,000 homes, including about 1,000 private units. 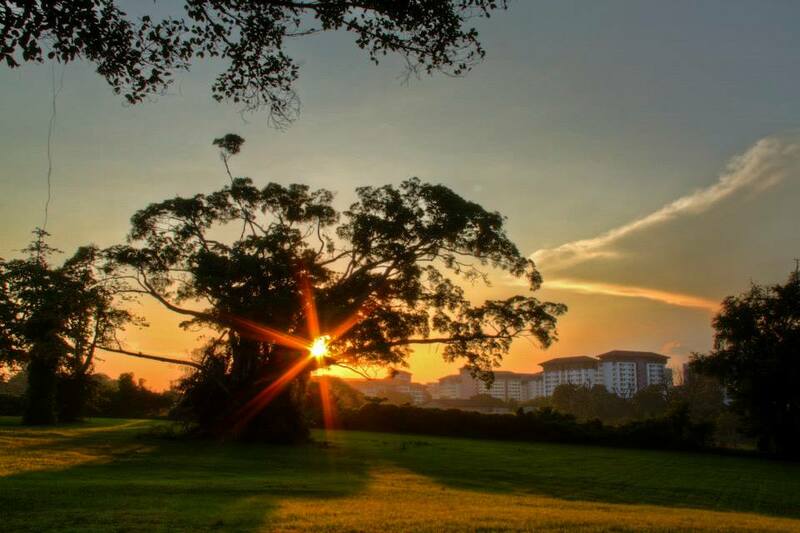 Featuring Singapore's first underground air-conditioned bus interchange, the Housing and Development Board called for the retention of Bidadari's hilly and lush landscape, and the celebration of its history and heritage. At the estate's centre, a new artificial waterbody known as Alkaff Lake will be constructed. Construction proper is set to begin in 2016 and completed by 2019.